2014 was a highly dynamic and eventful year for the Cruise Industry in Cherbourg. We were very pleased to welcome 32 calls totalizing 40450 cruise guests and 17302 crew members. This year, 7 inaugural calls took place in Cherbourg: the ASUKA II, SEABOURN QUEST, BRILLANCE OF THE SEAS, SEABOURN LEGEND, MINERVA, COSTA MEDITERRANEA, and ALBATROS. For the first time, a Japanese cruise ship, the ASUKA II, berthed on 30th of April alongside the Quai de France during her yearly world cruise. In June, on the occasion of the 70th Anniversary of the Normandy Landings and all the commemorative events that took place in our area, we have had one week of consecutive cruise calls in Cherbourg. The Cruise ship AZAMARA JOURNEY chooses the mythic transatlantic Cruise Terminal of Cherbourg for an amazing private party, on 6th of June. 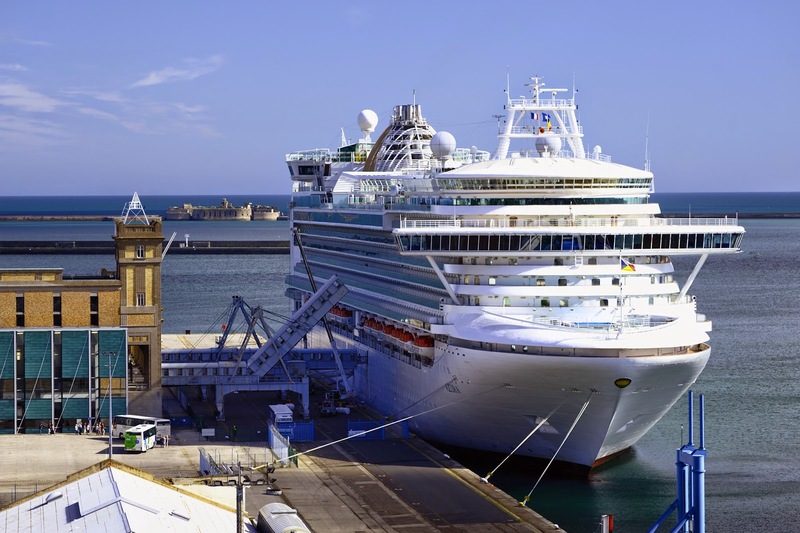 The port of Cherbourg also reinforces its position as a turnaround port this year… The 14th of June, 149 passengers joined the COSTA CLASSICA towards the Mediterranean seas. 55 guests joined the COSTA PACIFICA on the 8th of September and 26 on the COSTA MEDITERRANEA the next day. Then, on 7th of October, 361 guests joined the QUEEN MARY 2 for a very mythic transatlantic cruise to New York. The second week of September was an exceptional moment in Cherbourg. On the 7th, 8th and 9th, we welcomed 10091 cruise guests in total, and three cruise ships, the CELEBRITY CONSTELLATION, the SEABOURN LEGEND and the COSTA PACIFICA called the same day!